- Your details will be kept confidential at all times. - Your information will not be shared, passed on or sold to anyone outside of our business. This information will confidentially always remain with us. For your privacy, your credit card statement will only show "Excite Online Services" & will not include reference relating to the product purchased. 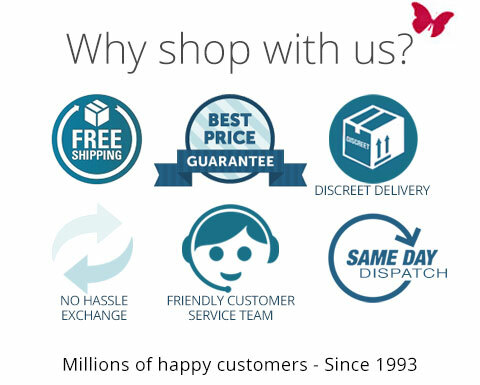 - Your products will be delivered to you discreetly packaged. - Your delivered package will not include references to adult products. We use registration forms. Registration forms require users to provide us with contact information such as names and email addresses. The users contact information is used to facilitate order processing for purchases in the future, as well as to contact users about new ranges, specials and other promotions we may have. Individual user information is never disclosed to third parties. Promotions require users to go through the registration process. In addition to how registration data is used above, promotions use this data to contact winners of the promotion. By emailing us users can request changes or to be removed from receiving future promotional e-mails.